"Without an evaluative framework for the [Drug] Strategy as a whole, the NAO is not able to conclude positively on value for money." and, "So overall performance measurement across the range of programmes needs to be put in place." This was no shock. For decades, successive Governments have avoided developing meaningful measures of success, or research to objectively test the effectiveness of their drugs strategies. For example, Parliament's Science and Technology Committee pointed out in their 2006 report "Making a Hash of it." that there was no evidence of a deterrent effect from criminalising drug use. The Government promised to do research to prove the link, but...hasn't. 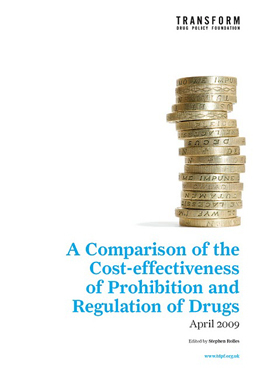 Even the limited evaluations of the drugs strategy that have been done have been suppressed - like the value for money study of the last ten year drugs strategy that Transform recently prised from the fingers of the Home Office only after a three year Freedom of Information battle. Why this coyness about evaluating billions of pounds of public spending? Well, in 2003 at a press conference, we asked the drugs spokesperson at the Home Office, Bob Ainsworth MP, whether the government would support a cost benefit analysis of drug law enforcement. "Why would we want to do that unless we were going to legalise drugs?" he replied. So no evaluation, because they know it would show prohibition is failing. 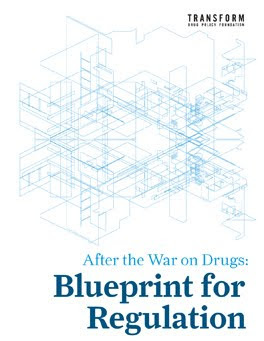 Of course it is not just the UK that fails to evaluate its approach to drugs in a rational, effective way, it is a worldwide problem, including in the American heart of the drug war, as the US National Academies report, "Informing America's Policy on Illegal Drugs: What We Don't Know Keeps Hurting Us" back in 2001 makes clear. And let's not fool ourselves, this failure to evaluate is not a victimless crime. It is a double hit. Not only do we squander billions that could be spent on treatment, schools, hospitals or other social goods, but the current policies themselves are often actively counterproductive. That is why Transform, The Howard League for Penal Reform, the Institute for Criminal Policy Research, Release, the International Drug Policy Consortium, the Green Party, Plaid Cymru, the Liberal Democrats, the Home Affairs Select Committee etc. are all calling for one or more of; a cost benefit analysis, a value for money assessment or a full Impact Assessment comparing current policy with the alternatives. Then we could move forward based on evidence of what works, not what is politically convenient. Now the good news. Maybe, just maybe the Government will now have to put in place the first step towards a genuine evaluation of its current strategy. So back to where this blog started, with the Committee of Public Accounts: Tackling Problem Drug Use meeting on the 10th March 2010. Sir David, if I may start with you and refer you to paragraph eight of the Comptroller's Report [NAO] on page five, it starts off by saying, "Neither the current Strategy, nor the supporting action plan for 2008-2011, set out an overall framework for evaluating and reporting on the degree to which the Strategy is achieving the intended outcomes ..." Sir David, how are you going to evaluate and measure your success? "...we have not had an overall framework of evaluation. We accept that in the new Strategy that is what we need to have..."
So if you come back to this Committee in a couple of years' time we will have this overall evaluation at a more sophisticated level, will we? Remember that was the very first question I asked Sir David and he said, "We are doing it individually but we are not doing it comprehensively". This is your job, so you are going to be working with us now and you will be able to report back to us within a couple of years, will you? Ms. Mandie Campbell, Director, Drugs, Alcohol and Partnerships Directorate, Home Office: Yes, I will. We have agreed with the National Audit Office that we will put a framework for evaluation in place that will look to identify and address those areas that are not evaluated at the moment. So there it is - Make a note. the Home Office has promised to put in place a framework to evaluate its drug strategy...in theory we should have more detail in about four months from now, so watch this space...But perhaps don't start holding your breath just yet. Sounds promising but I'm not even getting my hopes up with the four months estimate -- it seems that everything takes longer than predicted in the drugs policy world. I hope the NGOs got some more tables there in Vienna (y). Bravo!!! This is another brick falling from the wall, another step on the right direction. It's not a fast game, but Transform plays the best, and so they'll win, and everybody else thanks to them. Thank you very much for your great work. We'll definitely keep watching this space. Well, sounds good but I would suggest caution. Any kind of study is only as good as the data it uses and the big (or at any rate one of the big) problems with prohibition is it makes it difficult if not actually impossible to measure the activity you're trying to evaluate. Simply, you can't directly measure an illegal activity, you can only measure the consequences of it. If you can't measure something, you can't do science on it. That is a fundamental truth about science, a definition in fact, it's not open to debate. It doesn't matter how complex the statistical examination is, if the original data is rubbish the old maxim holds true: Garbage in = garbage out. If you want to do a proper study to see how the drugs policy works, you need to be able to sample the user base using valid sampling methods as we would do with any normal consumer survey. In other words I do not think it is possible to measure the effectiveness of the current drugs policy, even if they wanted to which I don't think they do. Therefore any statistics they might produce are at best suspect. Any such study should explain the sampling methods used to collect data and be open about the limitations of the methods used. Home office drugs studies usually fall well short of the required standard, will this one be any better? I doubt it.